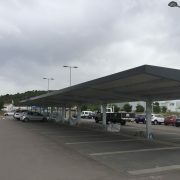 We have realized a new textile parking canopies project in Toledo in order to cover four groups of simple places with 15 tents and 19 supports. The cover is made of White canvas of high resistance, impermeable and that blocks UVA rays. 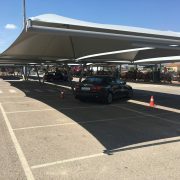 Europa Prefabri Group, specialised in construction, design, manufacture and install of textile and metallic parking canopies for cars and other uses, has 30 years of experience in this sector. 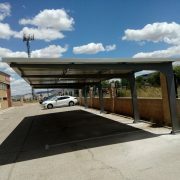 All our structures have been designed, manufactured and installed according to the demands of our customers, for different sectors and even for houses. 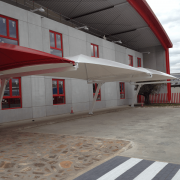 Textile and metallic parking canopies are known for their great modularity, this means, the canopy modules can be added depending on the free space, with which there is a guarantee of perfect esthetic harmony and a better cost optimisation. 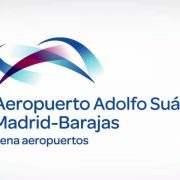 These structures can include the customers’ logo as well as institutional information and it’s possible to paint them. 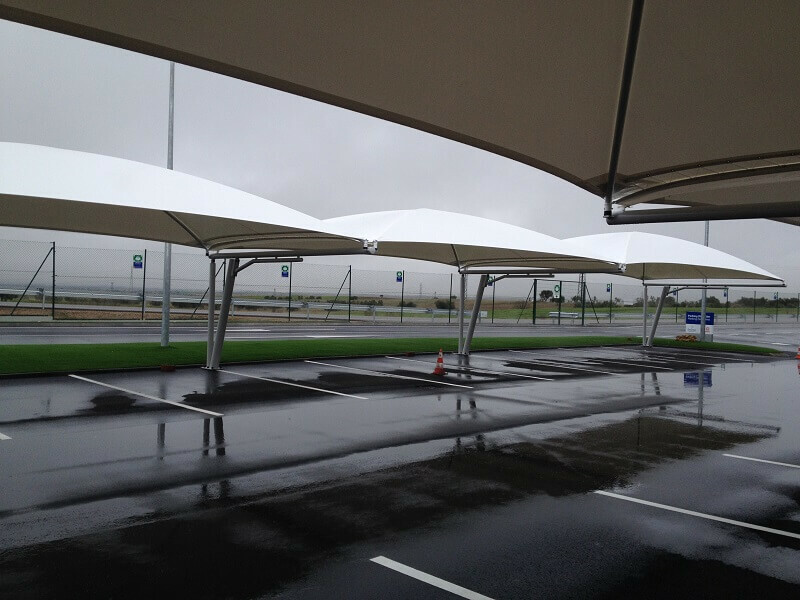 Textile and metallic parking canopies have steel structures made from different alloys of great quality, they can be galvanised and lacquered after with the colour the customer wants. 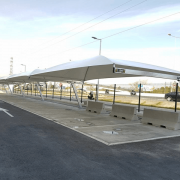 B2 concrete foundries differ depending on the structure needed and they are fixed to the metal-textile structures with fastenings that guarantee the needed stability. 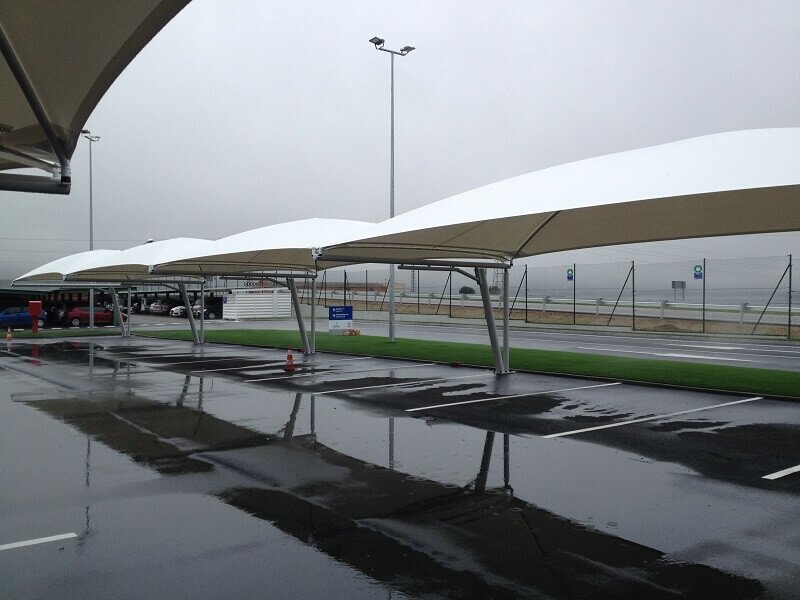 The parking canopies structures’ roofs are resistant, covered in PVC and lacquered. 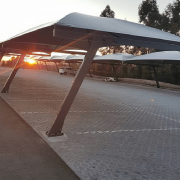 The lacquering process ensures a maximum impermeability, UV ray protection, thermal isolation, they are easy to clean and have non-stick properties (against particles, snow, etc.). 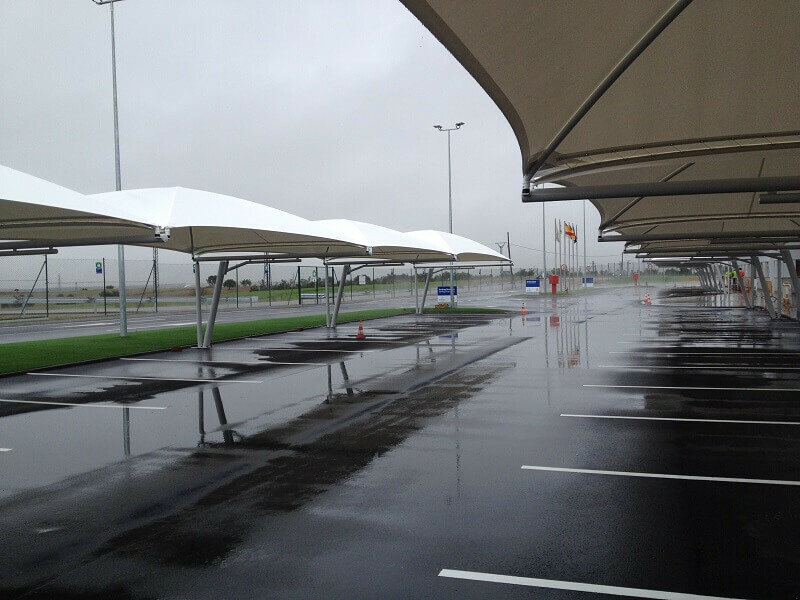 Parking canopies: available in different versions, simple or double.